HU MASKS. the HU masks (well, charlie scene's isnt a mask). Wallpaper and background images in the Hollywood Undead club tagged: hollywood undead h.u. deuce j3t charlie scene da kurlzz funny man j-dog. 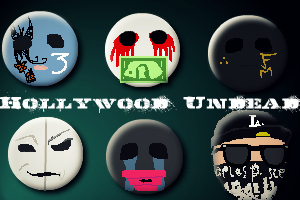 i luv hollywood undead!! like who doesnt luv them!!! !